James D. Bryant of Wolfeboro, New Hampshire died August 24 at the age of 84. He was born in Dorchester, Massachusetts and lived in Stoughton prior to moving to Wolfeboro. He was the beloved husband of Marie (Corliss) Bryant with whom he shared 59 years of marriage, the loving father of Katherine Bryant Lewis, the wife of Stephen Lewis of Bridgewater, Massachusetts and his loving son, James D. Bryant Jr. and his wife Joanne (Jodi) Bryant of Easton, Massachusetts. His much loved grandchildren are Victoria, Caroline, and Shannon Lewis and Nicholas, Nolan and twins Katelin Marie and Jack Edward Bryant. Jim was born on March 4, 1934, the fifth child of Edward and Anna Ruth Bryant. He was predeceased by his older brothers, Edward, Robert, and John and his sister Rita Louise. Jim graduated from Dorchester High School and Boston College. He received a Master’s Degree from Bridgewater State University and did advanced studies at Boston University. 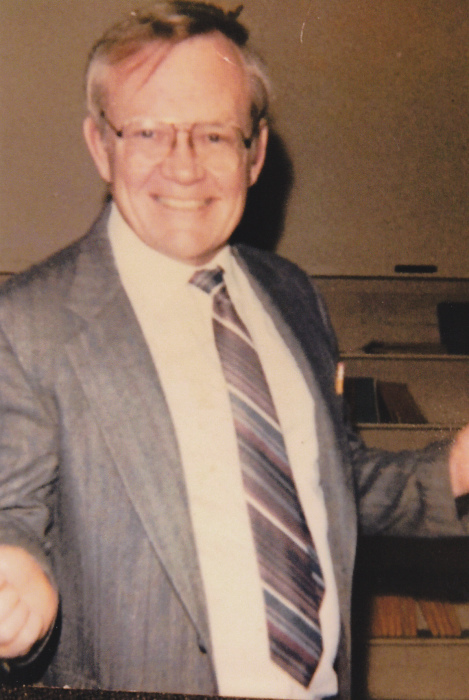 Jim was a sixth grade teacher at the West School for six years prior to becoming the principal of the E. A. Jones School, a position he held for thirty-three years prior to retirement in 1995. During that time he initiated many innovative programs and was an active participant in many professional organizations. He was blessed with dedicated teachers and parents who worked together for the hearts of students. Jim was actively involved in Stoughton Little League, as a trustee at the Stoughton Public Library, as a leader of the religious education program at the Immaculate Conception Church and as a trustee on the Board of the Brockton Catholic Charities. In the summer of 1967 Jim built a summer home in Winter Harbor on Lake Winnipesaukee. When he retired in 1995 he converted his summer home to his permanent residence. During his retirement years he served as a driver and board member for the Wolfeboro Area Meals on Wheel and was active in the Wolfeboro Croquet Club. Through genealogy he explored his New Hampshire roots dating to the 1700’s. His leisure activities included fishing and woodworking projects in his shop. He was a devoted parishioner at St. Katharine Drexel Church. Visiting hours will be held at Lord’s Funeral Home, Route 28, Wolfeboro on Tuesday, August 28 from 4 p.m. to 7 p.m. A Mass of Christian Burial will be held at St. Katharine Drexel Parish, Alton, New Hampshire on Wednesday, August 29 at 11:00 a.m.